The chairman of the PLANT Supreme Council that governs the Coordinator homeland. 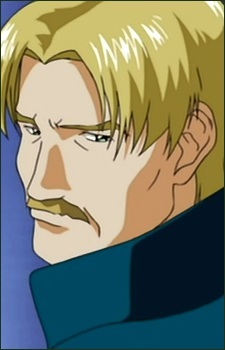 Although Clyne once worked side by side with Patrick Zala to create ZAFT and win independence for the PLANTs, over the years the two have become political rivals, and Clyne now leads a moderate faction of the Supreme Council which seeks to end the war through peaceful negotiation. Clyne represents the PLANTs of Aprilius City, which specialize in space sciences, and is the father of pop star Lacus Clyne.